The single-bolt connections in the framework of the World Trade Center popped and fell apart during the Sept. 11, 2001, terrorist attacks, causing the floors to collapse on top of each other, according to a new study. The analysis, conducted by a team of researchers from the Massachusetts Institute of Technology, concludes the bolts did not properly secure the Twin Towers' steel floor trusses, The New York Post reported Sunday. The bolts were pulled toward the center of the buildings while the floor trusses sagged, the report concluded. 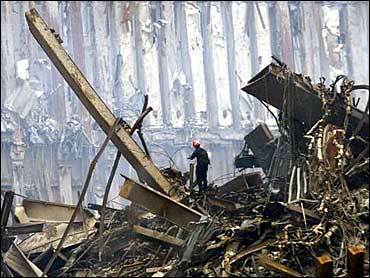 Experts have been disputing how and why the twin towers collapsed. A study by a Manhattan engineering firm said damage caused by the planes, and fires that broke out as a result, caused both buildings to crumble during the terrorist attacks. A federal investigation said the towers' unconventional design contributed to the collapse, noting weak floor supports gave way during the attacks - a similar conclusion to the one drawn by the MIT researchers in their upcoming report.